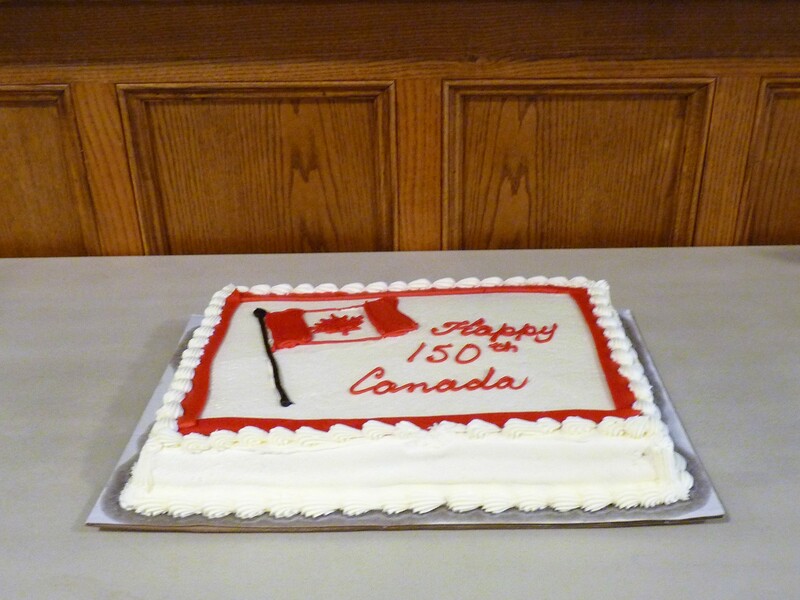 Celebrating 150 Years as a Nation! Coldwater Shuffleboard is enjoying another successful year with an average of 12 full courts in play every Tue and Thu. 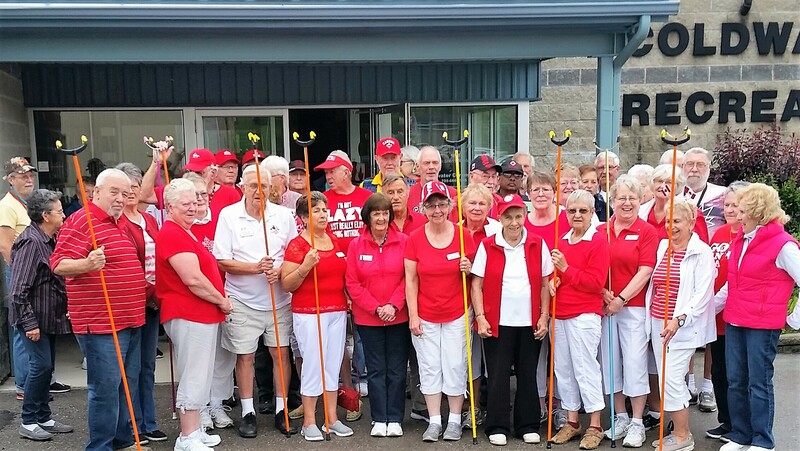 Club Membership is now well in access of 100 members; the Club is one of the only Canadian Shuffleboard Clubs to host a league for Special Needs players. Today, June 29th, 2017, the players wore the traditional red and white colours to celebrate Canada’s 150th birthday. 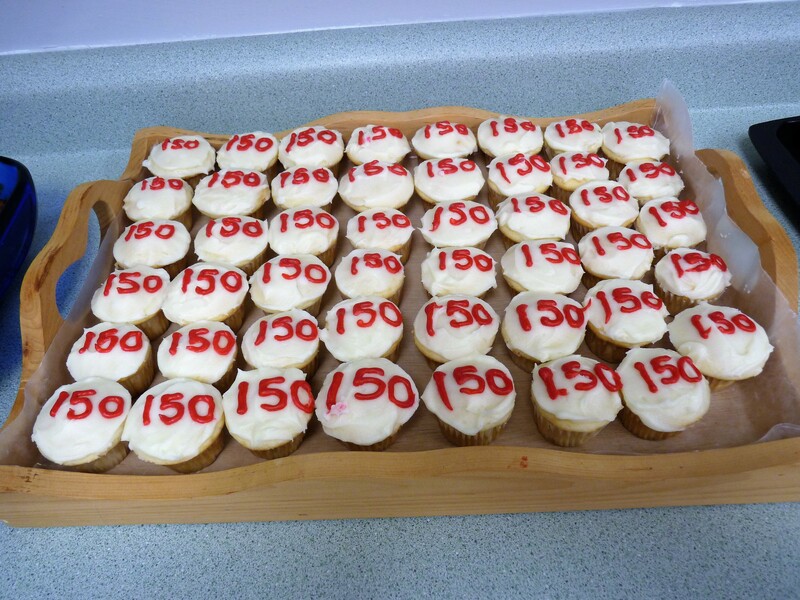 After three rounds of action the players were treated in the Clubhouse to a large Canada 150th birthday cake and cupcakes all decorated in red and white . Both the cake and cupcakes were compliments of two of the long time member families of the club. The court lines have all had a fresh coat of paint and a Nela Seal covering over the entire 16 court surfaces, carried out in preparation for the CNSA doubles tournament the Club will be hosting July 18 /19 /20. Coldwater always has plenty of free parking for RV’s and there are several excellent Motels in Midland and Orillia and each just 15 km from Coldwater. President George O’Reilly says there is big money from the sponsors for the winning teams this year and an additional $200.00 will be added to this from the Coldwater Club . Lunch is available each day of the tournament . Sent along by Gary Pipher WITH THANKS!! 2017 06 29. I would like info re how you pay for your shuffling during the summer. We have nothing like that in Brockville with a population of 22000. Some time ago we wanted to rent one of the arenas but it would have cost us $500! To use the J’s track would have cost the Sr Games $200 for one hour. And so it goes here in Brockville. Advice please.